The center piece of the Europe Food & Agribusiness Forum are case studies researched and written exclusively for this forum. The case studies portray current and top-of-the-agenda strategic challenges faced by the leadership of a company. Through discussion of these cases, the participants gain fresh perspectives on the industry and experience the company`s challenges through the viewpoint of it leaders, many of whom will be present at the forum. Danone is a global food company with four business divisions: fresh dairy products, medical nutrition, early life nutrition and waters. The company is built on a strong heritage and consistent values. Already in 1972, former CEO Antoine Riboud reconciled business growth with corporate social responsibility. This strategy is the base for Danone’s mission to bring health through food to as many people as possible. Strong international product brands like Evian, Activia, Actimel, Nutricia or Milupa have been established mostly detached from Danone as the corporate brand representing the company behind the product brands. 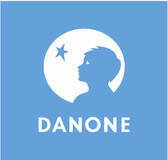 Therefore Danone is predominantly known only as a yoghurt company in most markets. Nadine Küster, General Secretary for Danone DACH region (Germany, Austria, Switzerland, Slovenia) will present her case study on the opportunities and challenges to build a joint corporate social responsibility program for the DACH region as part of a global effort to strengthen Danone's corporate image, identity and value creation. She will also discuss with EFAS participants possible pathways for implementation. Key Questions: How to establish effective communication with the final end consumer? How to position a company as a B2B2C company? How to build branding and marketing competence as an intermediate supplier? Chr. Hansen is a global bioscience company with leadership positions in a number of attractive niche markets. The company focuses exclusively on natural ingredients and is a leader in the dairy industry, which comprises approximately 50% of the company’s EUR 1bn turnover. The company estimates that more than one billion people in the world eat a product containing a Chr. Hansen ingredient every day. The company is ideally positioned to benefit from a global trend to “Real Food”. Its natural ingredients can provide longer shelf-lives, better texture, more health and better taste to the formulation of products without having to use preservatives and other label declarations which the consumers increasingly reject. Therefore the company is looking forward to healthy growth and healthy margins. The stock markets values the company at 8x sales and 35x price/earnings. This does not mean that such success is guaranteed. Christoffer Lorenzen, EVP for the Food Cultures and Enzymes business which makes up about 2/3 of the company is keenly aware that its business has come under direct scrutiny of consumers and consumer advocacy groups. This is also a new reality. In the past, ingredients manufacturers were just a B2B company, letting their customers deal with the consumers. Chr. Hansen now conceives itself as a B2B2C company, and is thinking about how they can create communication channels with the final end consumer. This is probably also required for building up a whole new area of business, which is bioprotection, for which natural, fermentation based ingredient products are used to extend the shelf life of many foods from cheeses to salads. Mr Lorenzen is considering how much of an own competence in marketing and branding needs to be built at Chr. Hansen to achieve his targets. Migrolino is a Swiss convenience retailer. With its subsidiary migrolino-wholesale it also offers logistics services to partners outside of the Migros Group. Migros is the Swiss leading retail and services company with total sales of 27 billion Swiss Francs and more than 100,000 employees. Migros is a Swiss-based cooperative with core operations in retailing, but includes also many services including banking, schooling, travel services and more. Migrolino has inaugurated its micrologistics center with which it can service new business models of last-mile distribution to the consumer. It is considered Europe’s most advanced such logistics center. At the cross-roads between prediction-based retailing, consumer orientation and the demands for highest quality service fulfillment, this new center allows many different business models. The core question is which one to choose and to be prepared to change paths quickly if disruptive competition takes a different course. The CEO of Migrolino, Markus Laenzlinger will discuss with the EFAS participants the opportunities for new value creation models, new value chains, and new partnerships. Group Calvo is the 5th biggest canned tuna producer in the world, with a global presence in Brazil, Italy, Spain, Central America and more than 70 export markets. Bolton Alimentari, the second biggest canned tuna producer in the world and a competitor in the Italian market, owns a 40% stake in the Group Calvo and a majority stake in Garavilla, one of Calvo’s biggest competitors in Spain. The company faces different challenges in each market (mature and emerging), and must coordinate the local strategic needs in each market (e.g. how to maintain the competitive position and profitability in Spain, a market dominated by private labels; how to maintain the contribution of the Brazilian market amidst the severe economic crisis; how to maintain the economic returns in Central America, a region that is maturing with the entrance of new competitors) with the build up a global position and scale to compete worldwide. Mr. Alberto Encinas, General Manager of Group Calvo in Europe and Central America, and former General Manager of Calvo Brazil, will discuss with EFAS participants the strategic challenges of the company and the possible pathways to build a global competitive position. Key Questions: How to build new business models? How to enlarge the organization and its scope of activities without losing the core identity? How to compete against other value propositions? How to maintain and grow stakeholder commitment? Agricultural producers in developing countries often have few means to influence the value chain. They do not have the power in the system to make their needs from and possible contributions to the global food system known. As a result they are often trapped in exploitative wage and labour conditions. Consumers in the industrialized countries might often be willing to pay a somewhat higher price for their bananas, coffee, tea, pineapples, chocolates, roses and some more – if they could be certain that this additional price will be available to the local producer and allow better livelihoods for them. That is the fundamental value proposition of Fairtrade International, a labelling organization which provides certification to internationally traded products that fulfil various standards throughout the global supply chain, which in sum shall help to empower the producer to earn a fair income under fair conditions. The organisation is considering how to broaden its portfolio of activities in order to become even more effective in its overall mission. Over the past 30 years, it has had essentially just one business model, which was to set standards, certify according to those standards, and then sell a license fee to the buyers for being allowed to use the Fairtrade Mark. It is under discussion how strongly the organization shall also include additional business models and revenue generation in the future. These include selling consulting services around the design and implementation of sustainable global value chains, enlarging a program for certifying single raw materials only instead of the whole final product, and collaboration with company in-house certification schemes. 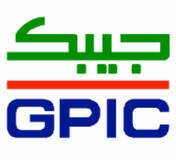 The Gulf Petroleum Industries Company (GPIC) is a globally recognized quality leader in petrochemical and fertilizer production and operates its plants with best-in-class performance in international benchmarking comparison. The key to GPIC’s success is in its uncompromising focus on human relations improvement through continuous development, ongoing knowledge creation and, focused corporate social responsibility and community leadership. GPIC is currently in the process of evaluating a number of opportunities available to drive its value creation agenda under the mandate of its shareholders. These opportunities include the potential for expansion, joint ventures and/or partnerships in line with the company's focus on the entire value chain. Dr Abdulrahman Jawahery, President of GPIC and also Chairman of the International Fertilizer Association, will present his vision and case study to EFAS on creating value and sustainability through People, Planet, Prosperity, Peace and Partnership. Dr Jawahery's holistic vision is driven not only on behalf of GPIC, but the entire Gulf region and the global fertilizer industry as a whole.